Rendering of Clay spec distribution project in Sheldon Business Park. 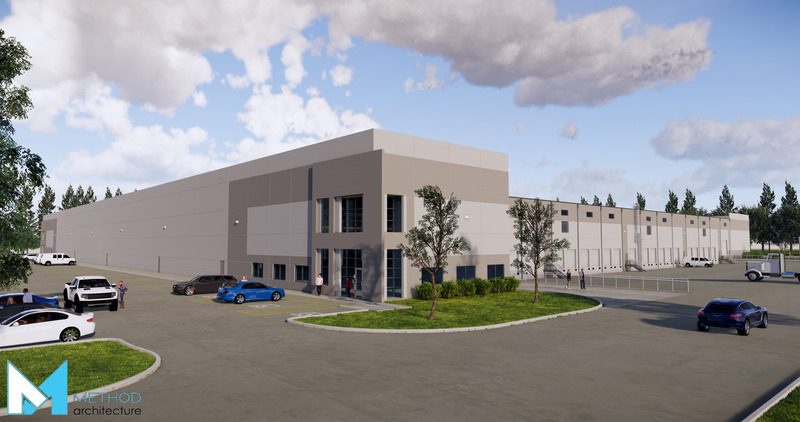 HOUSTON – (Realty News Report) – Clay Development & Construction Inc. is building a 214,300-SF distribution center on 11.2 acres at North Lake Houston Parkway and East Sam Houston Parkway North in northeast Harris County. The spec project is pioneering an area between the Port and Bush Intercontinental Airport. With completion slated for the second quarter 2019, Sheldon Distribution Center I will be a cross-dock distribution facility in Clay’s 45-acre Sheldon Business Park. The distribution center’s site allows building expansion to 385,000 SF. John Ferruzzo, John Simons and Ryan Searle of NAI, as well as Charlie Christ of Clay Development & Construction, will handle leasing of the building. Clay purchased the land for the 32-acre Sheldon Business Park in July 2015. The property is located at the entrance to the 4,000-acre Generation Park, a mixed-use development. Sheldon Distribution Center I will feature 32-foot clear-height ceilings. In 2015, Clay completed a 59,200-SF build-to-suit manufacturing facility at 12818 North Lake Houston Parkway, adjacent to Sheldon Distribution Center I. Lichtgitter, an architectural metal producer, occupies that building. Clay Development & Construction is providing construction and architecture for Sheldon Distribution Center I. Construction financing is by Frost Bank. Clay Development & Construction, Inc. is a Houston-based, commercial real estate development and construction firm specializing in industrial build-to-suit facilities for sale or lease.